WEST NEWBURY — Chief Art Reed reports that Hannah Nicole Gil, who had been missing since Oct. 21, was found safe in Georgetown yesterday evening. The Georgetown Police Department located her in town around 5 p.m. on Nov. 2. Chief Reed would like to thank the FBI Child Exploitation Task Force, along with the police departments in Atkinson, New Hampshire, Haverhill, Georgetown, Groveland and Rowley for their assistance on this case. Chief Reed would also like to recognize the School Resource Officers in Haverhill, West Newbury and Georgetown for their hard work. WEST NEWBURY — Chief Art Reed announces that the West Newbury Police Department will participate in National Prescription Drug Take Back Day this weekend. On Saturday, April 29, working in conjunction with the Drug Enforcement Administration (DEA), the West Newbury Police Department will be accepting expired, unused or unwanted prescription drugs at the police station from 10 a.m. to 2 p.m. Drop-offs are free and will remain anonymous. The DEA cannot accept liquids, needles or sharps. Last October, Americans turned in 366 tons (over 730,000 pounds) of prescription drugs at almost 5,200 sites operated by the DEA and more than 4,000 of its state and local law enforcement partners. Overall, in its 12 previous take back events, the DEA and its partners have taken in over 7.1 million pounds – more than 3,500 tons – of pills. This initiative addresses a vital public safety and public health issue. Medicines that languish in home cabinets are highly susceptible to diversion, misuse, and abuse. Studies show that a majority of abused prescription drugs are obtained from family and friends, including from the home medicine cabinet. In addition, Americans are now advised that their previous methods for disposing of unused medicines — flushing them down the toilet or throwing them in the trash — pose potential environmental, safety and health hazards. Those who cannot make this weekend’s drug take back event can utlizie the West Newbury Police Department’s drug drop box, which is located in the station lobby. It provides 24-hour access to local residents who need to dispose of over-the-counter drugs, unneeded prescriptions, medication samples and unused pills. For more information about the disposal of prescription drugs, or about the April 29 event, visit the DEA website or contact the West Newbury Police Department at 978-363-1212. The job post will close on April 14. Interested applicants should submit a resume and cover letter to Chief Reed via email at areed@westnewburysafety.org. WEST NEWBURY — Chief Art Reed is pleased to announce that the West Newbury Police Department is collecting food and toiletries for the town’s first Community Donation Center. Organized by Pentucket Regional High School sophomore student Tim Beech as part of his Eagle Scout Project, with assistance from the Friends of the Council on Aging, the center is designed to provide a sustainable location for residents in need to pick up a variety of grocery and household items. The center will be located on the main floor of the 1910 Building, 381 Main St. in West Newbury, and open during Town Hall business hours, by appointment through Theresa Woodbury at the Council On Aging. Woodbury can be reached by e-mail at coa@wnewbury.org, or by phone at 978-363-1104. To celebrate the grand opening, a food drive will be held on Saturday, April 8, from 9-11 a.m. at the 1910 Building. During the event, West Newbury Police will ask residents to fill a cruiser with goods to ensure the center is fully stocked. Citizens are encouraged to bring perishable items, as the new center now has a freezer and refrigerator available for storage needs. Additionally, leading up to the event, community members can donate items to the West Newbury Police Department, 401 Main St., and the Senior Center, which is also located at the 1910 Building at 381 Main St. Both have been designated as drop-off locations for donations. Food items that are needed include soups, vegetables, pasta, pasta sauce, macaroni and cheese, beef stew and frozen dinners, along with toiletries like paper towels, toilet paper, napkins, shampoo, soap, toothbrushes, toothpaste and cleaning supplies. WEST NEWBURY — Chief Art Reed is pleased to announce that the West Newbury Police Department received a Child Passenger Safety (CPS) Equipment Grant this month to expand resources and improve safety in the community. West Newbury is one of 68 municipal departments that received a portion of the $170,000 CPS grant from the Massachusetts Executive Office of Public Safety and Security’s Highway Safety Division. The police department’s $2,000 allocation will be used to purchase 25 car and booster seats to be distributed throughout the next year. The seats range from infant to 11 years old and will be given to local parents and caregivers in need. According to the American Automobile Association (AAA), traffic crashes are a leading cause of death for all children nationwide. Properly installed car and booster seats have been proven to reduce the risk of death and injury in crashes, yet AAA estimates that 75 percent of car seats are installed incorrectly. West Newbury is one of more than 225 free child safety seat inspection sites in Massachusetts. Officers Michael Dwyer and Eric Forni are certified child seat safety technicians and are available to assist residents. If you would like to schedule an appointment for inspection, or to install a new car seat, contact the West Newbury Police Department at 978-363-1213. WEST NEWBURY — As residents prepare for tomorrow’s storm, Police Chief Art Reed and Fire Chief Michael Dwyer are offering several important tips to best ensure the safety of all. 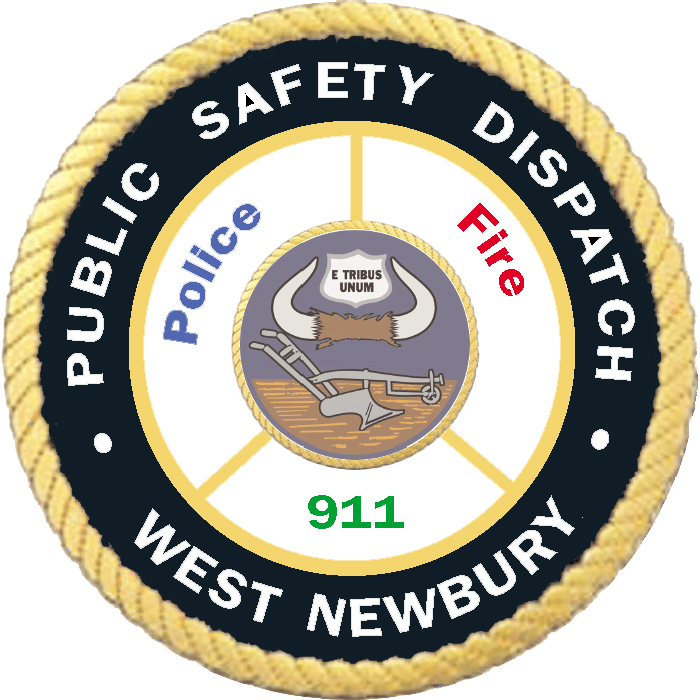 The West Newbury Fire Department will have firefighters on duty throughout Tuesday, and residents are encouraged to call with any storm-related issues. Additionally, Atlantic Ambulance will be on standby for emergencies. Never use their oven as a heat source. Place electric or space heaters at least 3 feet away from bedding or combustible materials. ALWAYS clear the tailpipe of a vehicle that is buried in snow BEFORE you start or warm up the vehicle to prevent exposure to carbon monoxide. Failure to do so can be fatal for those inside the vehicle. After the snow falls, you can help the West Newbury Fire Department by shoveling out your nearest fire hydrants. Also, make sure that your home or business sidewalks are properly shoveled and place salt or ice melt to prevent people from falling. When shoveling, or walking outside for more than a few minutes, dress appropriately, with exposed skin covered and wear a hat and gloves. Frostbite can strike quickly when temperatures are low. Do what you can to avoid getting wet and take frequent breaks. WEST NEWBURY — Chief Art Reed is pleased to announce that the West Newbury Police Department will host a Citizens Police Academy next month. 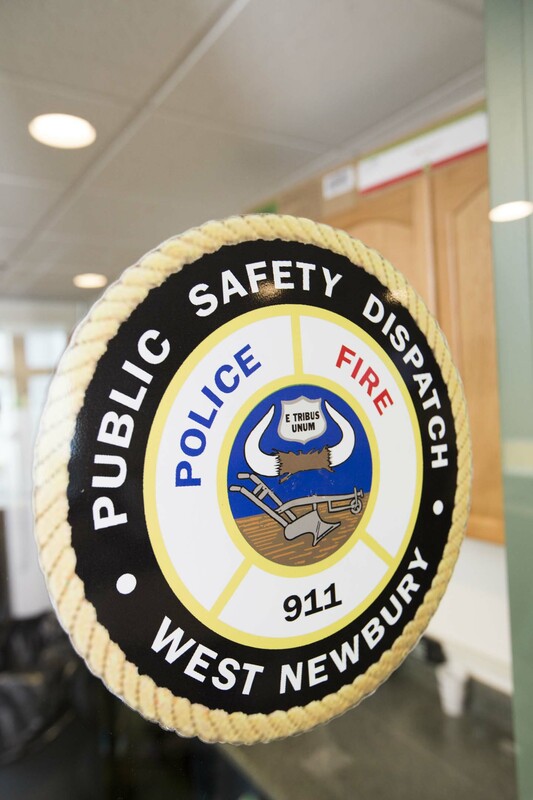 The academy is designed to familiarize community members with the daily operations of the West Newbury Police Department. Classes will start on Wednesday, March 22, and will run for the following four Wednesday nights from 7-9 p.m. at the Public Safety Complex, 401 Main St.
West Newbury Police, led by academy organizer Sgt. Jeff Durand, will cover a wide range of topics, including drug and Operating Under the Influence (OUI) enforcement, traffic stops and crashes, firearms and the K-9 unit. Participants will also tour the Middleton House of Corrections and go on a two-hour ride-along to observe police officers on patrol. Class size is limited to 15 participants. Applicants must be at least 18 years old and acceptance will operate on a first come, first served basis. West Newbury residents will be given preference. Applications may be picked up at the West Newbury Police Department or downloaded at westnewburysafety.org. All forms must be returned to the police station by March 15.